This level has medium difficulty. For this level try to play from middle part of the board. 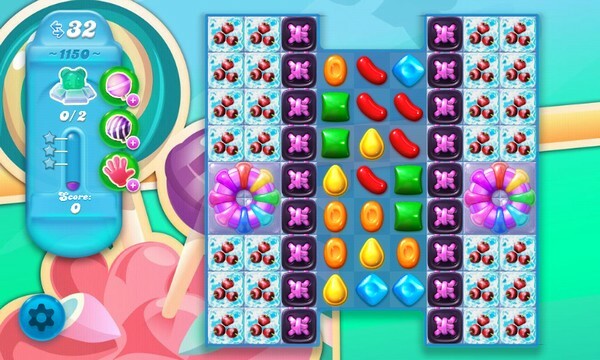 Make special candy and combine them with each other to break more blockers to break them. Play near to blockers or break the cake to break more blockers to find the bears. Just wondering how you always seem to get the two boosters that clear the whole board? I cannot get even one bear cleared on 30 moves and you cleared the entire board with 25 moves left?? This is a hard level and only 30 moves, I think. Fish don’t help at all. They go places bears are not. Have tried with every booster possible and don’t seem to be making any progress. None of the websites that supposedly offer help have helped at all with this level. I have been working on it for over two weeks, an hour or two every day, to no avail. The truth is, we just have to keep playing until we get the perfect combination of boosters . . . or pay money to Microsoft to win. I am not going to visit any more “helpers” since they do not help very often, and just make money every time we drop by to see their ads.